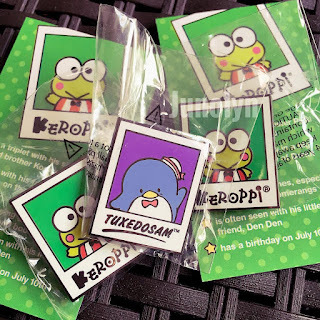 The Friend of the Month Campaign officially started on May 2016, where Sanrio would give out a free pin when purchasing over $30 of their merchandise. 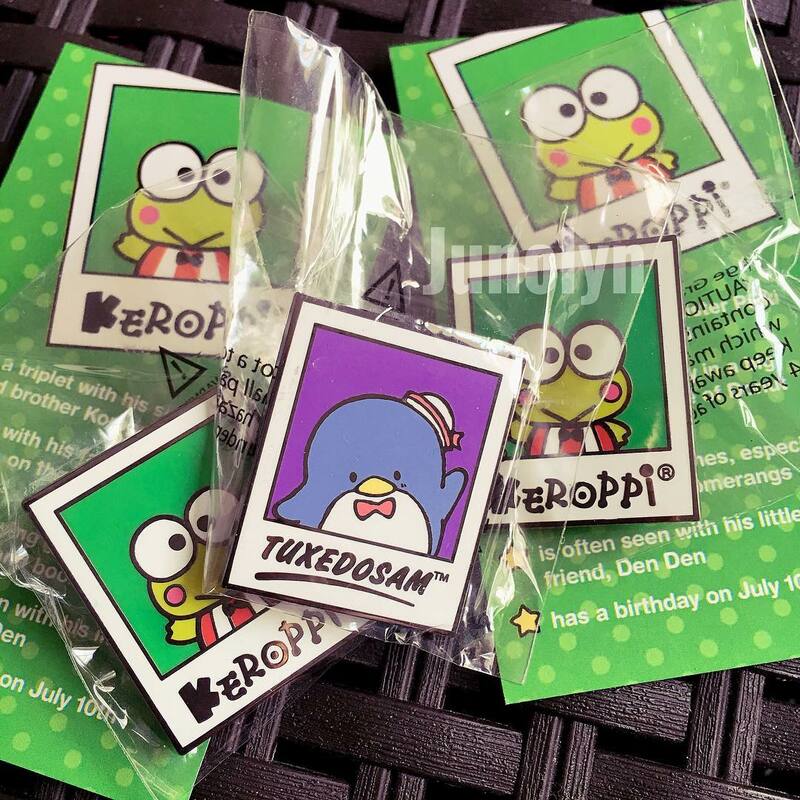 Each month, there will be a new character pin to collect. The first character to kick off the FOTM campaign was the little black cat, Chococat. From there on, Tuxedo Sam followed-- along with Pippo. Every 1st of the Month is a surprise on whose next. Will it be one of your TOP 5 Faves or a pin to add to your collection as a set? The Friend of the Month will continue onto next year. Who are you looking forward to the most? I adore Pippo so much. Tuxedo Sam was finally getting his turn in the spotlight and I felt sad that Pippo was being forgotten in the corner. 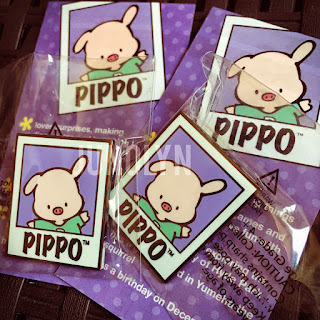 Sanrio, please release some really cute Pippo merchandise. 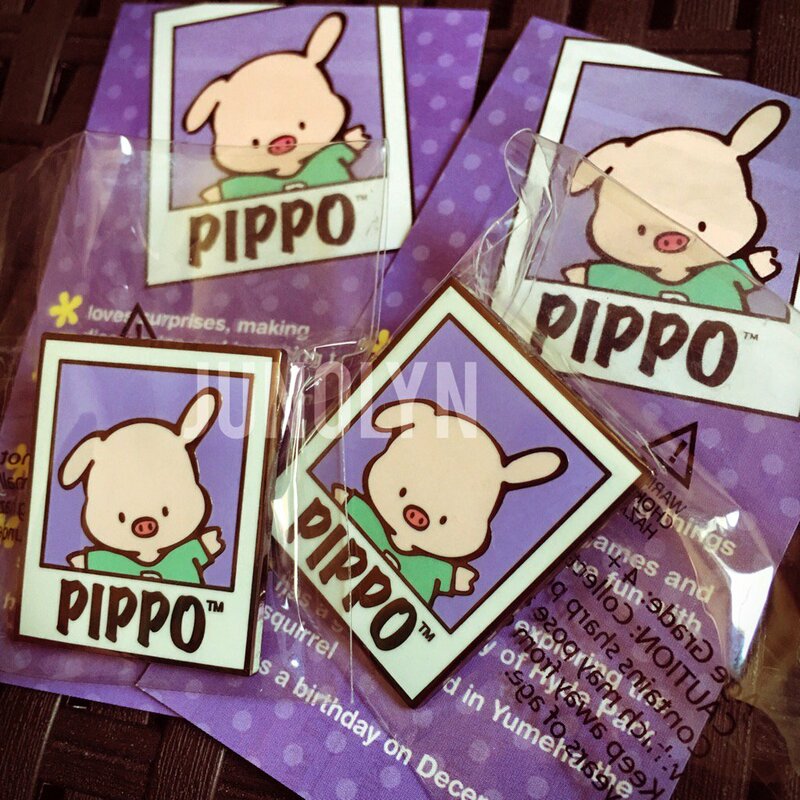 I need to start on some really cute Pippo collection. Don't forget about stickers and character shaped Sticker Albums! Now, I am ready for next month's character surprise. Anyone wanna place those bets on the lucky character?